If you step into an office or school, you’ll likely find Microsoft Excel installed on each computer. 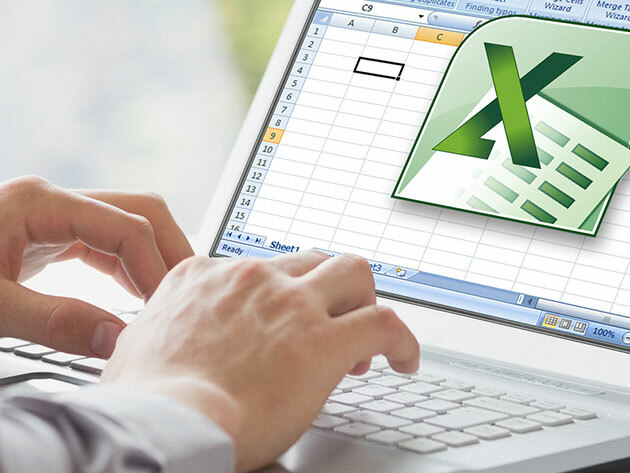 While it appears to be a simple spreadsheet program, Excel provides unparalleled bookkeeping and data analysis features; and mastering it can make you a major asset in any workspace. If you’re interested in harnessing Excel’s full potential, you can get started with this $19 Masterclass. The Microsoft Excel Diploma Masterclass is a month-long course split into 8 lessons, providing you with 3 hours of CPD-certified coursework each week. These lessons begin with basic Excel functionality, such as how to perform simple calculations and format worksheets. As you progress, you’ll cover advanced topics, such as macro automation, data formatting, and working with tables. Make your way through the entire course, and you'll emerge with a diploma to validate your skills. Mastering Excel will not only help you succeed in your current workplace, but it can impress potential employers should you seek new opportunities. With the Microsoft Excel Diploma Masterclass, you can add this valuable tool to your skill set for only $19, or 95% off.